A new day is dawning over Northwest Ohio and Southeast Michigan. From Monroe to Findlay and from Sandusky to Defiance, a new group is forming to give a safe space and community to people who are secular humanists. 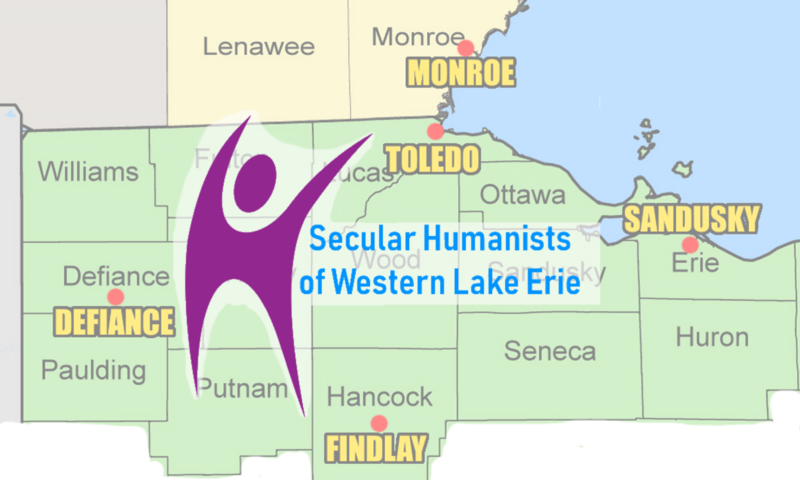 Secular Humanists of Western Lake Erie (SHoWLE) values people, emphasizes reason, and focuses on this world. Our purpose is educating the public about Humanism and building a Humanist community in Northwest Ohio and Southeast Michigan. Membership is open to all Humanists in substantial agreement with our principles and values. Our regular meetings and scheduled events will be free and open to the public. SHoWLE will be having an organizational meeting on May 5th, 2018 at 1 PM in the meeting room at the Washington Branch of the Toledo Public Library 5560 Harvest Lane Toledo OH 43623. The plan is to hold regular monthly meetings and become a chapter of the American Humanist Association. For most, humanism is an alternative to religion. In many cases and situations there is a humanist alternative to problems we see in the world. We feel that in the Toledo area, that alternative isn’t being heard. or at least being addressed. If you have any questions, or for media inquiries, feel free to use our contact form. Visit our Facebook and Twitter pages too.